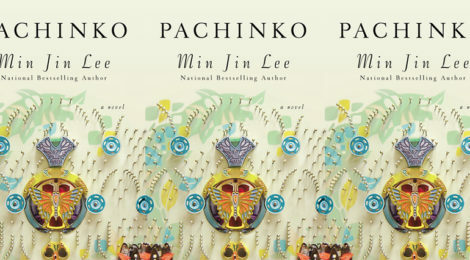 I’ve watched with great interest as Min Jin Lee’s Pachinko (NY Times Review) has gathered steam in the literary world. I managed to talk to her at a reading in Boston last year, and read her book over the summer. In truth, her book couldn’t have come at a more fortuitous time, as I had been trying to figure out how to conclude my current book project, a comparative study of Korean American and Korean Japanese (zainichi) literature that I’ve been working on for the past ten years. It’s only been in the last year or so that I’ve been able to dedicate the bulk of my energies to finishing it, and hope to get it out the door soon. Coincidentally, it was while I was researching zainichi literature in Tokyo on a Fulbright grant that I read her first book, Free Food for Millionaires. I didn’t know it at the time, but according to interviews, she was also living in Tokyo, researching Pachinko. Pachinko is in some ways the perfect example of my book’s central argument–that there’s a transpacific conversation occurring between these two minor literatures that hasn’t been articulated or theorized sufficiently. Bridging Asian and Asian American studies, Mediating Empire is a multilingual (Japanese, English, Korean) study of two diasporic literary traditions: Korean American and zainichi (Korean Japanese) fiction. Traditionally studied in isolation within their respective fields—Asian and Asian American studies—these bodies of fiction, I argue, engage in a transpacific conversation. Moreover, to adequately comprehend their relationship requires our building a theory of minor literatures and mediating sites—in this case, Japan and the United States. Attendant to my study is a necessary critique of both fields—the need for Asian American studies to expand beyond domestic politics and for Asian studies to engage with critical race studies. Hopefully I can finish writing it soon and get it out the door between juggling my duties in English and the Digital Matters Lab.